Home » Videos » Mere Naam Tu From Zero Gives Us Back Our Very Own Shah Rukh Khan – The King Of Romance! It showcases Bauua Singh trying to impress Aafia in the most melodious and colourful way possible. 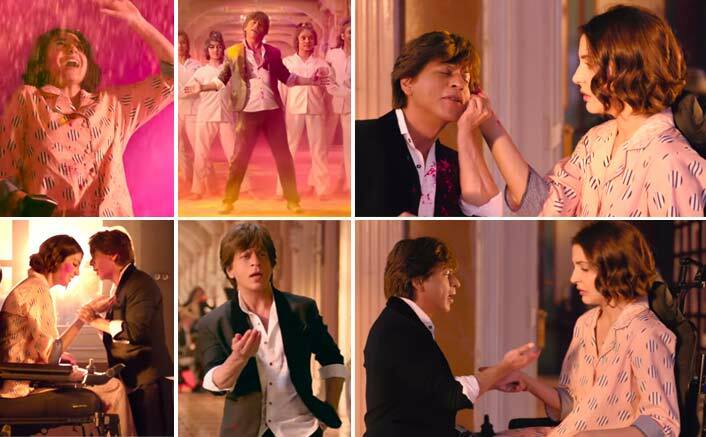 After a long anticipation and a massive hype, the first song from Shah Rukh Khan’s Zero is out today and it’s undoubtedly making us fall in love all over again. With Mere Naam Tu, Shah Rukh is back with what he’s best known for, and with the leading lady – Anushka Sharma, it’s only further a treat to our eyes. Hera Pheri 3 – Why You No Start Soon? Suniel Shetty Reunites His Co-star & We Now Can’t Keep Calm! The film also features Anushka Sharma and Katrina Kaif. It is interesting to observe that after Yash Chopra’s ‘Jab Tak Hai Jaan‘ this trio is coming together all over again to execute Rai’s vision. The film has slated to be released on December 21.